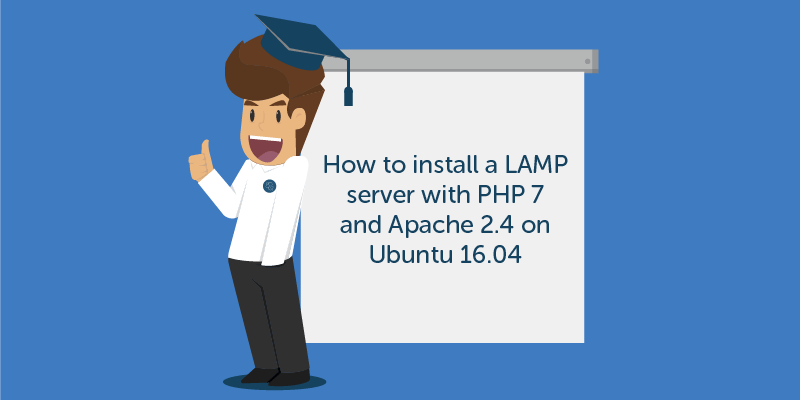 Im Durchschnitt wird dieses Tutorial Install a LAMP server with PHP 7 and Apache 2.4 on Ubuntu mit 5 bewertet, wobei 1.0 die schlechteste und 5.0 die beste Bewertung ist. Es haben insgesamt 18173 Besucher eine Bewertung abgegeben. 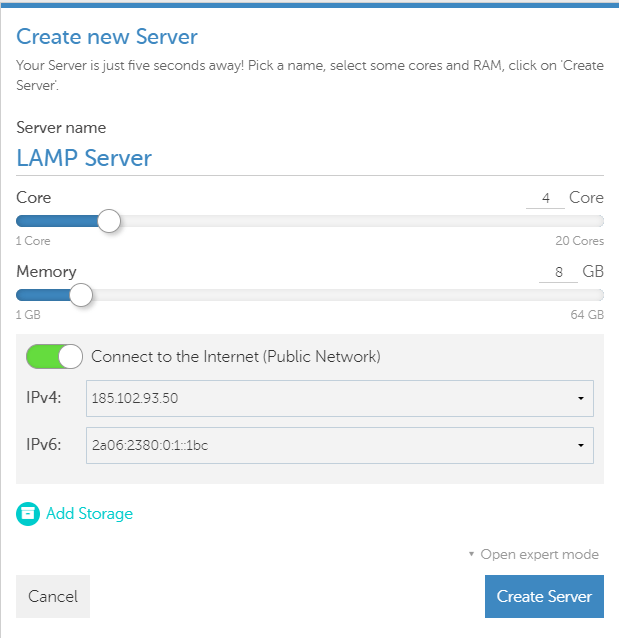 What is a LAMP server? 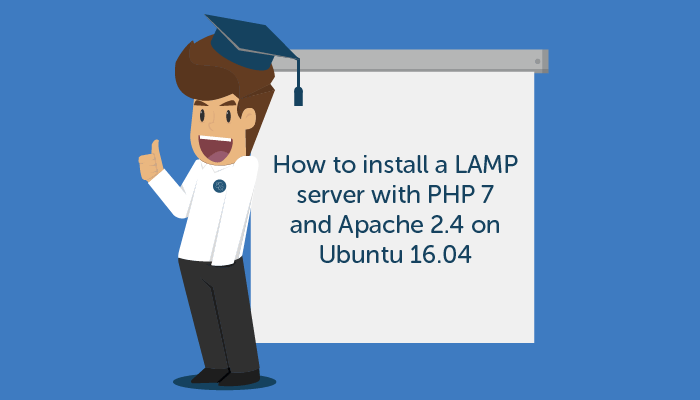 A LAMP server is probably the best known server installation, as it is set up with with Linux, Apache, MySQL and PHP – the ideal starting situation for the most widespread CMS systems, such as WordPress, Drupal or Typo3. Before you can start the installation, you have to create a cloud server with Ubuntu 16.04. First you create a server with at least one public IP address and usually 2 CPUs and 4 GB of RAM (our recommendation). We are using the gridscale environment to demonstrate. As a template you select our gridscale Ubuntu 16.04 template. Here you can optionally assign a root password or use an SSH key. Once you have made your settings, you can create the storage and connect it directly to the server using drag & drop. The -y stands for confirming all options directly, since we want a standard installation. Once the installation is finished after a few seconds / minutes, you can test it directly by entering the IP address of the server in the browser. Instead of MySQL, we install MariaDB in this guide. MariaDB is a MySQL-Fork managed by the original MySQL developer team, which is compatible with MySQL and has some interesting new features. However, in order to check whether PHP 7 is actually installed and working, create an info.php file and display the current PHP settings. Use Ctrl + X to save and close the file. If you now add /info.php to our IP address in the browser, you can see if PHP 7 has been installed and if everything has worked out. Now the MySQL package should also appear in the info.php file. Search for„mysql“ in the /info.php page. PS: If you often use LAMP servers, at gridscale you can save the installation as a template by first creating a snapshot from the storage and then converting it to a template. Übrigens: kennst du schon unser Tutorial zum Thema Tutorial: Install Magento on Ubuntu 16.04?